When she came back home following her eviction from the Big Brother House a month ago, Selly vowed to take legal action against Tanzanian housemate, Nando, for spreading falsehood about her. Two weeks after Nando was expelled from the Big Brother House following his bad behaviour, Selly has had other ideas. She told Showbiz last Tuesday that she was no longer interested in pursuing any legal action against Nando since “God has intervened and fought her fight for her”. “No, I won’t take any legal action against Nando because my God has answered my prayer and redeemed me. He has fought my battle for me and today, the whole of Africa has come to see the kind of person Nando is and that is enough judgement for me. “Since my return, I have been praying to God to intervene and to restore my damaged image but in God’s own way, He vindicated me. Even before Nando was expelled, I was talked out by the organisers of Big Brother not to pursue any legal case against him and I wondered how I could clear my name and restore my damaged image but God had his own plans for me. “That may have been Nando’s game plan to get me out as a strong contender but God who knows best did not put me to shame”. Selly told Showbiz that even though she has not heard from Nando after being expelled, she was not ready to accept his apology if he ever rendered one. “I will never forgive Nando for not only embarrassing me but my family, country and boyfriend who has suffered all the backlash and humiliations all this while. He has really caused harm to my reputation and what he did is just unpardonable”, she stated. She described her relationship with Nando in the house as “being on good terms” and said that even though she “made out” with him, she made Nando understand they couldn’t go all the way and said “that was when his attitude changed towards me and I couldn’t tell if it was just sheer hatred he had for me. “The most painful part of it is that, I didn’t have the opportunity to defend myself in the house because I didn’t hear anything like that until I was evicted and I got really hurt because I didn’t even know how my boyfriend’s reaction would be when I got back home but thankfully, he has been a strong pillar behind me” she stated. Speaking on “life in the Big Brother House”, Selly said that though all the contestants were conscious of the cameras at the beginning, they later got used to the place and behaved normally as they would in their respective houses. 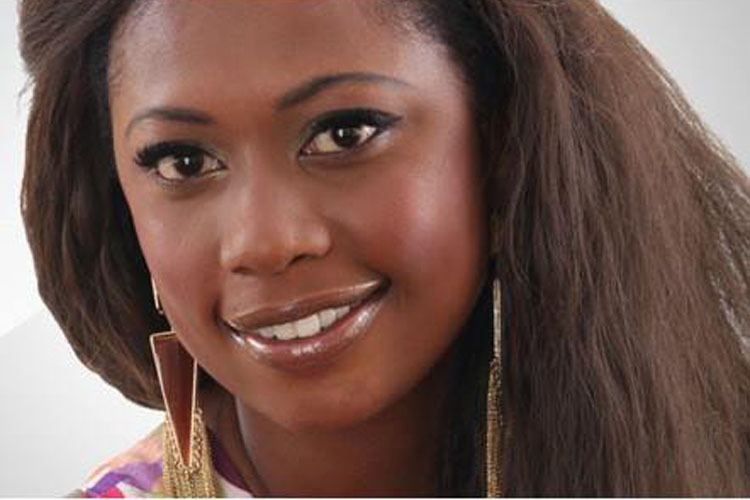 When asked the chances of Elikem in Big Brother house, Selly confessed that though she feared for Elikem’s survival at the beginning of the game following his engagements with some of the women in the house, she could confidently vouch that Elikem is one of the strongest contestants now and could win the 300, 000 US dollars prize at stake. For now, Selly, real name Selorm Galley who is under the management of ARV Media told Showbiz she is ready to hit the movie industry by storm. Even before her stint with Big Brother, she had had the opportunity to feature in some movies including African Child which featured some actors like Prince David Osei, Vivian Achor and Ecow Smith Asante. She also played role in Juliet Ibrahim’s yet to be released No 1 Fun.